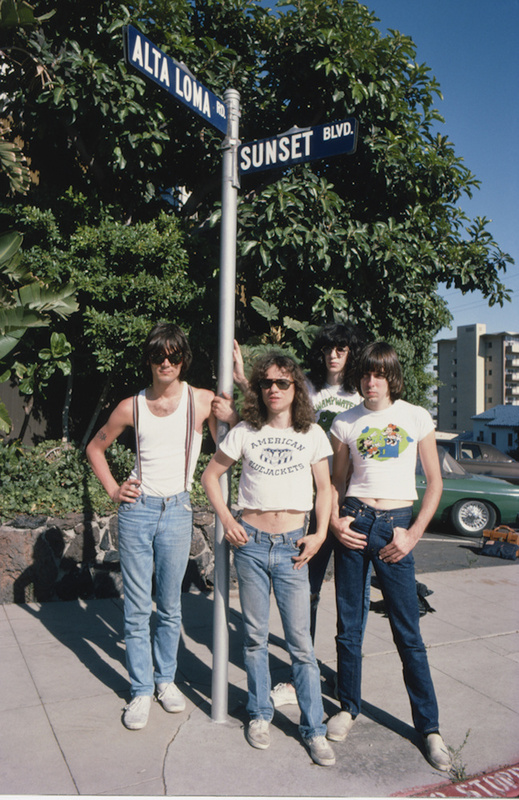 The Ramones were staying at the Sunset Marquis, near the current House of Blues. Their manager Danny Fields let me grab the band from their rooms for this quick shot. I think I promised him a photo for Rock Scene magazine, but the photos were published all over the world. I still see bootleggers trying to sell this image. They look a bit out of place with all the California sunshine, albeit standing in their classic poses.